Our clearing firm, Apex Clearing Corporation, has purchased an additional insurance policy to supplement SIPC protection. This additional insurance policy, widely known as “excess SIPC,” becomes available to customers in the event that SIPC limits are exhausted. This additional insurance provides protection for securities and cash up to an aggregate limit of $150 million, subject to sub-limits for any one customer of $37.5 million for securities and $900,000 for cash. Similar to SIPC protection, this additional insurance does not protect against a loss in the market value of securities. For additional information on SIPC insurance, please contact your broker. Firstrade Securities was founded in 1985 in the Flushing neighborhood of Queens, New York, to serve the needs of the local community, especially ethnic Chinese immigrants. In 30-plus years, Firstrade has become an online discount broker with a range of tools and resources, including some unique features. True to its roots, the website is available for trading in traditional and simplified Chinese as well as in English. Firstrade offers low fees: $2.95 per stock trade, $0.50 per options contract, and up to 500 commission-free trades for new accounts with a $2,000 initial deposit. There are no minimum balance fees, and you can get $100 in free trades when you open even a small new account. 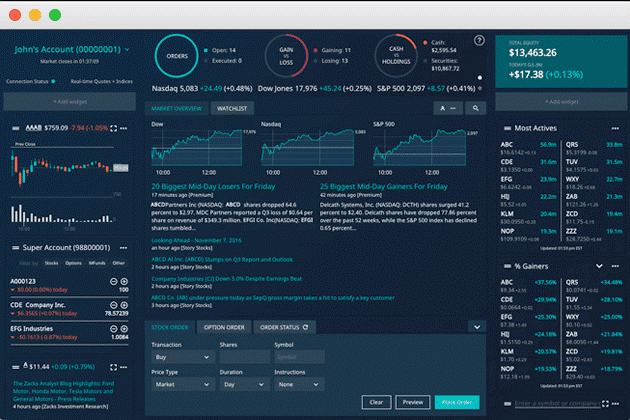 Among other standout features are after-hours trading, both simple and complex options orders, thousands of available mutual funds, and access to a range of fixed-income products, including U.S. Treasuries and corporate and municipal bonds. Firstrade customers and their assets are safeguarded to industry standards. In addition to operating under FINRA regulations, the brokerage uses a clearing firm (Apex Clearing Corp.) that provides an extra layer of insurance protection beyond the regulators’ minimums. Firstrade is a member of SIPC, so its securities accounts are protected for up to $500,000, including $250,000 for cash claims. As a member of both FINRA and SIPC, Firstrade is regulated for both equity and fixed-income markets. The broker guarantees best execution efforts, promising that if your qualifying S&P 500 equity market order takes longer than 0.1 seconds to execute, your trade is commission-free. Firstrade also offers account balance protection through a third-party insurer and secures your account and its privacy, guaranteeing losses up to $37.5 million per customer in the event of improprieties. Each ETF is a basket of securities that is designed to generally track an index – broad stock or bond market, stock industry sector, or international stock – yet trades like a single stock. Build your family’s wealth with a traditional or joint brokerage account. Access Firstrade’s fast and powerful online trading platform from almost anywhere in the world. For more details on how to open an international online trading account with Firstrade, click here. No matter what business you’re in, we have the online trading account for you. Choose from Investment Club, Corporate, LLC, Partnership, or Sole Proprietorship accounts. An investment account set up for a child/minor wherein the account is placed under a custodian’s control until the minor reaches legal adulthood. Customers have several ways to get in touch, including live chat, email, and phone. There is also a call-back service. The customer support team is accessible 10 hours a day, Monday through Friday. Firstrade also caters to the do-it-yourself investor with one of the most comprehensive FAQ sections available. Customer service is available by phone, live chat, or email Monday through Friday, 8 a.m. to 6 p.m. EST. Chinese-language support is also available by phone or chat. There is no dedicated social media channel for support and no TTY phone line available for customers with hearing impairments. The educational content provided by Firstrade includes instructional videos covering investment products, use of the platform, and basic investing strategies. Detailed information on margin loans, retirement accounts, and tax planning are also provided. The education center offers beginners a detailed investment glossary, including a breakdown of key concepts and phraseology. The education section offers basic information about investing and trading that is well suited to beginners. However, in-depth instruction is lacking, so more advanced investors aren’t likely to get much out of this part of the site. The section on retirement planning is richer but lacks some basic tools, such as a retirement savings calculator.